In past decades, those of us who were born and raised west of Yonge Street were usually unfamiliar with the city to the east of it. Likewise, those born east of the city’s main street often were unfamiliar the area west of Yonge. This was because the intersection of Queen and Yonge was the retail heart of the city, as the two largest department stores were located there—Eaton’s and Simpsons. As well, most of the other important shops were either on Yonge Street or located close to it. To travel to the opposite side of Yonge was rarely necessary. Until I was an adult in the early 1960s, I never knew anyone who had visited Scarborough’s Guild Inn. I never visited the historic property until June 14, 2017, on the occasion of its grand reopening, following a complete restoration and the addition of a new building with expanded facilities. Located at 201 Guildwood Parkway, the original house on the property was built in 1914 in the Period Revival style, with Arts and Crafts Detailing. This style was popular during and after the First World War. It reflected elements of medieval architecture and possessed Tudor detailing. However, because of its straight lines and unadorned stucco cladding with wood trim, the house was sometimes referred to as being faux-Georgian. Constructed by Colonel Harold Bickford to serve as his family summer residence, it possessed stables and a large garage for his automobiles. Colonel Bickford was born in “Gore Vale,” located in what is now Trinity Bellwoods Park. He was a decorated veteran who served in the Boer and First World Wars. Having acquired considerable financial success as a real estate broker, he purchased property on the edge of the Scarborough Bluffs. On the land, he built a 33-bedroom residence and named it Bickford House. In that decade, the estate was densely forested and remote from the city. On the south side of the home was a terrace with steps that led down to an extensive garden. At southern end of the property was the Scarborough Bluffs, and below the steep cliffs was Lake Ontario. However, due to financial constraints, in 1921 Bickford sold his home and property to the Foreign Missionary Society of the Roman Catholic Church. It served as a boarding school for students of the China Mission College, which sent missionaries to China. In 1923, the house again changed hands when it was bought by an American businessman, Richard V. Look. He renamed it Cliff Acres because of its proximity to the Scarborough Bluffs. However, he vacated the house and relocated to Montreal after living in it for only a year. The house remained vacant for five years, after which it was purchased by Rosa H. Hewstson. She was a wealthy widow whose husband had owned a shoe company. In August 1932, she married Spencer Clark, the ceremony held on the property. Soon after the honeymoon, the couple converted their multi-bedroom home into an hotel. Next, they built the Estate Building from two former structures on the property and established the Guild of All Arts to create an artists’ colony. The Clarks were inspired by Roycroft in East Aurora, New York, a center for the Arts and Crafts movement. The Estate Building and former stables provided accommodations for the artists as well as workshops. The estate offered training for aspiring artists and a wide variety of crafts—weaving, wood working, wrought iron, ceramics, leather tooling and batik. The proceeds from their work as well as the funds from the hotel business helped defray the expenses of operating the program. In 1932, the Clarks transferred the title to the Scarborough Guild Ltd., and the following year the Kitchen Wing was constructed. In 1933, they offered a paid membership program that included entry to the scenic grounds as well as a series of lectures and concerts. During World War II, the Department of Veterans’ Affairs requisitioned the Guild Inn and renamed it HMSC Bytown II. It became a centre where WRENS received specialized training in operating a wireless. Between 1944 and 1947, it was renamed Scarborough Hall and became a veterans’ hospital. In 1947, the estate was returned to the Clarks. They now enlarged the buildings and purchased a further 500 acres to increase the size of the estate. Their property eventually extended from Lake Ontario to Kingston Road and from Livingston Road to Galloway Road. Near the end of the 1950s, the Clark family and Lakeview Estates Limited transferred part of the land to Higgins Company Limited, and registered the plan to create the Guildwood Village. It consisted of about 400 acres and today, the community is still referred to as “Guildwood Village.” It was a small version of the Don Mills subdivision, reflecting the best ideas of urban planning of its day. 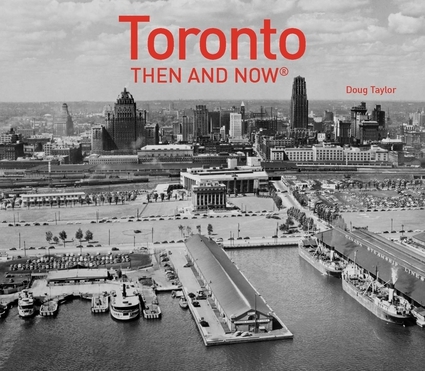 It was during the 1950s that Spencer Clark commenced salvaging architectural remnants from important 19th and early 20th century buildings that Toronto was demolishing. They were placed in their garden, and today these relicts from the past are a much-loved part of the Guild Inn Estate. As well, Rosa and Spencer Clark commissioned artworks from notable Canadian sculptors and installed them on the Inn’s grounds. It became Canada’s first sculpture garden. In 1965, a 100-room hotel tower was built to the east of the house. In 1978, the Metro Toronto Regional Conservation Authority acquired the Guild Estate for $8 million. However, Spencer Clark continued to operate the Inn. Rosa Clark passed away in 1981, but Spencer continued to manage the Inn. In 1982, on the 50th anniversary of the Guild Inn, the Greek Theatre was opened, its backdrop the columns salvaged from the Bank of Toronto (built in 1912). In 1985, Delta Hotels assumed management of the Inn. Spencer Clark died the following year. In 1988, the Giant Step Reality Corporation was granted a 99-year lease for the Inn, but it was terminated in 1993 when the Metropolitan Toronto and Regional Conservation Authority took over the site. However, the Authority’s main interest was the bluffs and the shoreline. Unfortunately, Guild Inn Hotel was closed. In 1999, it became a Heritage Property under the Ontario Heritage Act. In 2001, the Inn was boarded up. However the grounds and sculpture garden remained open and were maintained by City of Toronto. In 2008, the Studio Building, following a fire, was demolished and in 2009, the hotel tower to the east of the Inn was demolished. Meanwhile, the remainder of the buildings began to badly deteriorate. In 2011, the Heritage Canada Foundation stated that the place was “in imminent danger of demolition by neglect.” The floors inside the Bickford residence were rotting to the extent that it was unsafe to walk on them. In 2009, a proposal by Centennial College was approved by the city. Then, in 2011 the College submitted a proposal that included condominiums. This plan was rejected. In 2014, Dynamic Hospitality and Entertainment Group, an 100% Canadian owned company, was chosen to restore the estate. During the restoration, asbestos-filled additions in the original 1914 Bickford House were removed and on its west side, a new banquet hall and gazebo were constructed. The Bickford House, which had endeared the Inn to past generations, was painstakingly refurbished—the staircases, wainscotting and fireplaces. However, the latter were no longer functional. When restoration of the Inn and surrounding property had been completed, it included an 88-acre park. In the original Bickford residence there were private suites and a restaurant able to accommodate 800 guests. Appropriately named Bickford Bistro, guests can now enjoy a midday lunch or an intimate evening dinner. There are 292 free parking spots on-site. As well, the complex possesses an events space able to host 1000 guest. Both the Bickford Bistro and the events space have terraces that overlook the spacious gardens. With the reopening of the Guild Estates, I now have another reason to travel east of Yonge Street and become more familiar with Scarborough. It is always a pleasure to dine and then stroll around the grounds of a place that includes so much of the history of our city. Booklet prepared by the Siren Group for the official reopening of the Inn on June 14, 2017. The Guild Inn in 1944, when it was a veterans’ hospital named Scarborough Hall. Photo from the Toronto Public Library (tspa 0108031). The Guild Inn Inn in 1956 when it was managed by Spencer Clark. Toronto Public Library, r- 6531. View of the south side of the Inn in 1971, gazing north from the garden. On the right is the hotel to the east of the Bickford home. Toronto Public Library, tspa 0108025. Architectural detailing from the Art Deco Toronto Star building, demolished in 1972. Photo taken in 1985, Toronto Public Library, tspa 0108022 (Toronto Star Collection). Columns from the Bankers Bond Building, erected at 60 King Street West in 1920. Demolished in 1973, it was inspired by the Erechtheum, part of the gateway to the Acropolis of ancient Athens. Photo taken in 1986, Toronto Public Library, tspa 0108030 (Toronto Star Collection). The entrance to the complex on its north side, on the occasion of the grand opening on June 14, 2017. The original 1914-home that today contains the Bickford Bistro. One of the fireplaces in the Bickford home and a charming sculpture on its mantle. Staircase in the Bickford home, leading to the second floor. View of the garden, gazing out through the windows of the passageway that connects the Bickford home to the new addition. Gazing south over the sculpture garden from the terrace of the Bickford home. A doorway in the sculpture garden, rescued from the Bank of Nova Scotia at 39 King Street West, built in 1903 and demolished in 1969 (photo 2017). Spencer Clark in the sculpture garden in 1981, the Corinthian columns from the Bank of Toronto in the background. The columns from the Bank of Toronto, photographed in June 2017. Today, the salvaged architectural remnants create the backdrop for the Greek Theatre, which opened in 1982. The bank once stood on the southwest corner of King and Bay Streets. The Greek stage being checked out by Jamie Robinson, director of “She Stoops to Conquer.” The play is being performed from July 13th to August 13th, 2017. The audience watching this classic romantic comedy will be seated on the spacious grass area in front of the stage. View of the Guild Inn Estate from the sculpture garden in June 2017.